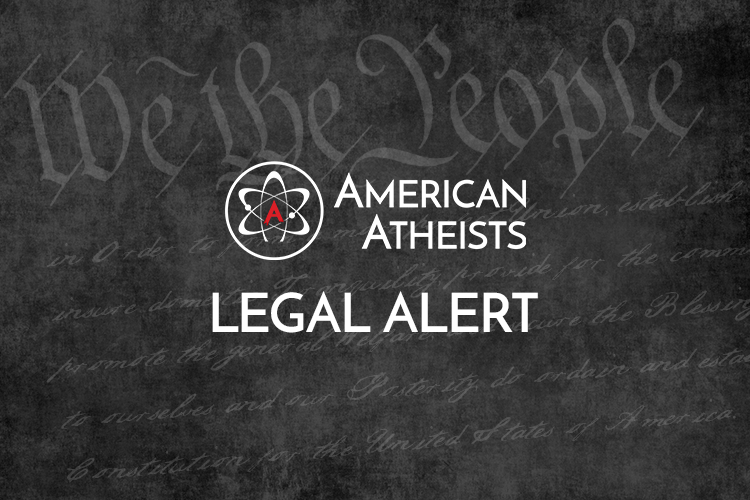 Cleveland, OH—American Atheists today filed a lawsuit in the U.S. District Court for the Northern District of Ohio, Eastern Division, alleging that a developmentally disabled child was forcibly baptized against the expressed wishes of his parents by a minister and a court-approved mentor. The child, referred to as “V” in the court filing, was taken to a church picnic in August 2016 by the child’s mentor. During the picnic, the mentor and the church’s pastor subjected V to a full-immersion baptism, against the wishes of V’s parents. The forced baptism was the culmination of more than a year of religious harassment by V’s guardian ad litem and V’s mentor. The lawsuit alleges that V’s court-appointed guardian ad litem, Margaret Vaughan, repeatedly proselytized to V’s parents, April and Gregg DeFibaugh, and their children and told them that “families need God to raise children.” Despite complaining multiple times to Vaughan’s supervisors, no corrective action was taken by the agency. In 2015, Vaughan recruited David Guarnera, a member of her church, to act as a mentor for V through the Big Brothers and Big Sisters of Northeast Ohio (BBBS). According to the suit, despite explicit instructions from the DeFibaughs to refrain from religious activities with V, Guarnero would frequently discuss religion with V. On August 28, 2016, Guarnero took V to a picnic at his church, the Morning Star Friends Church in Chardon, and, along with the church pastor, Matthew Chesnes, forcibly baptized V, pushing him under water. Since the incident, V has suffered anxiety and extreme emotional distress. The DeFibaughs reported the incident to the local police and to BBBS before seeking legal assistance. American Atheists has retained attorney Kenneth D. Myers of Cleveland to serve as local counsel. The family is seeking declaratory judgment that the conduct of the named defendants was unconstitutional, compensatory and punitive damages, and counsel fees and costs. The lawsuit is Case No. 1:17-cv-00645 and has been assigned to Judge Patricia Guaghan.